For nearly three decades, Valentino Simone has rigorously worked toward the continuous growth and success of Target Steel, a service center in southeast Michigan.  Target Steel was founded in 1988 by Valentino. Prior to launching Target Steel, Simone held various plant positions and worked at several steel companies, learning the many processes and departmental functions within flat rolled steel industry. He was quickly promoted, as his drive and discipline could not go unnoticed. As he climbed the corporate ladder, his wife Sara was instrumental in supporting his ambition, encouraging him every step of the way. She believed in his vision of taking the risk to branch out on his own. In his late 20’s, Valentino made the decision to form a small startup operation. With just one shear, one hi lo, and $250 to invest, Target Steel was born. ​Simone has since spent his career building Target Steel into a prevailing company with annual growth for the past 28 years. His dedication, persistence, and faith, have been leading factors in the success of the company. During high times, Val has meticulously invested in Target. Whether it is equipment, staffing, or additional space, he carefully budgets while creating value added improvements to maintain a competitive edge. In the same token, Simone also knows how to lead his team to react and weather downturned market trends or setbacks, never once having to lay off an employee. Valentino prides himself in his contribution to job creation, to a productive learning environment, to advancement opportunities, and leadership development for each individual he employs. “The greatest investment is in the people. The building is only as strong as its structure,” are quotes from Val and have been proven to be true. This reflects in the daily performances of his staff. He operates in a family oriented atmosphere, alongside his brother Michael, where each employee’s health and well-being come first. Val has an open door policy at his facility. Employees can have one on one discussions and training with him at any time, on any matter. It is a team effort. Simone believes in conducting business built on relationships. He has spent his years developing strong mill and customer ties, many of which have turned into friendships over time. Anyone who has done business with Val, know that he is a reliable, honorable man, whose word you can always depend on. If you come to him for assistance on a hot item, Val will do whatever it takes to help, even if that means taking a loss from time to time. He is a model of integrity and values the principles of ethical business practices and moral standards. The ambitions of Valentino Simone do not stop with Target Steel. While maintaining his company, which today operates 3 locations, Val also contributes to society regularly. He donates to children’s organizations, churches, and various athletic teams within his community. He supports the non-profit steel groups, AWMI, PMA, and Motor City Slitters, by attending and sponsoring as well. Val is married to Sara, his wife of 30 years. His two children, Cristina and Valentino Jr. both followed in his footsteps and have chosen to pursue careers in the steel industry.